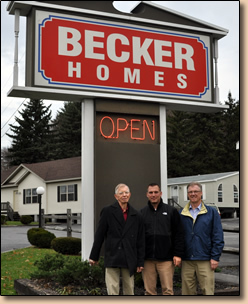 Becker Homes has been owned and operated by the Becker Family for over 50 years. Founded in 1961 by Richard C. and Naomi Becker, the company is presently into its third generation. The goal then was to provide the best quality manufactured homes to our customers for a reasonable price. The industry has seen many changes since the day we have opened our doors, but our goal is the same today as it was then. Becker Homes works hard to exceed the highest expectations of its customers from start to finish. We also provide all the contract services that will be needed for your building lot and new home project. Excavation, foundation (poured concrete, block or superior walls), septic systems, wells, electrical work, plumbing, heating, air conditioning, steps/decks are a few of the many things Becker Homes does to make your home buying experience smooth and seamless. If you still don’t have the property to build your new home, don’t worry. 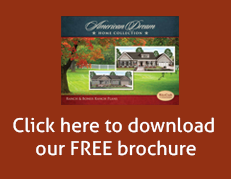 Becker Homes provides Land/Home Packages where you can still pick your favorite floor plan! The Becker family thanks you for taking time to find out more about our company. Our knowledge and experience acquired over the last 50 years will be shared when you purchase a house from Becker Homes.